Here is the latest from Joshua Budich!! 'Vision' is the very first print I ever produced. "The client has agreed to sell the few remaining prints through my web site. 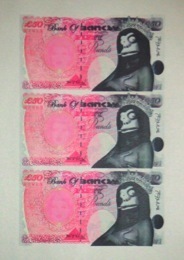 So pick yours up before this print goes the way of the dodo." 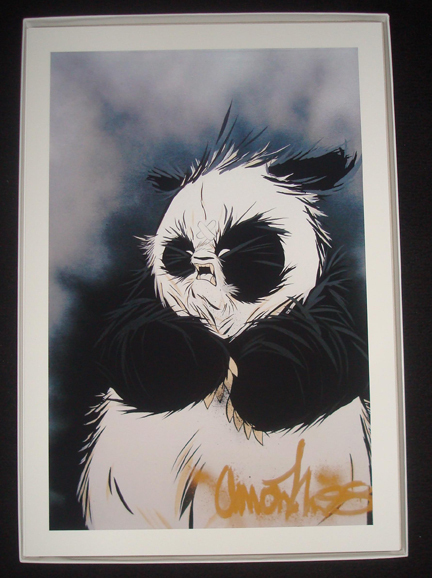 The are a very limited amount left from this original venture and then that will be all. 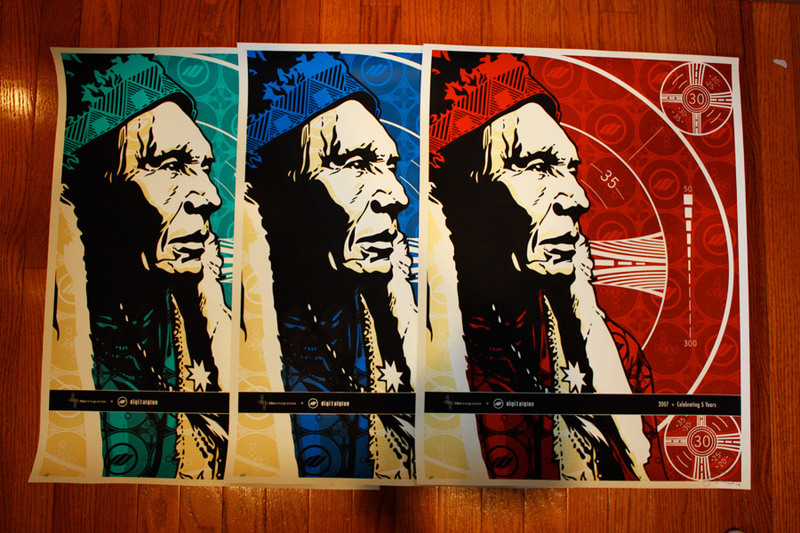 So if you dig his stuff and you dig native art then this is your christmas, cheers! 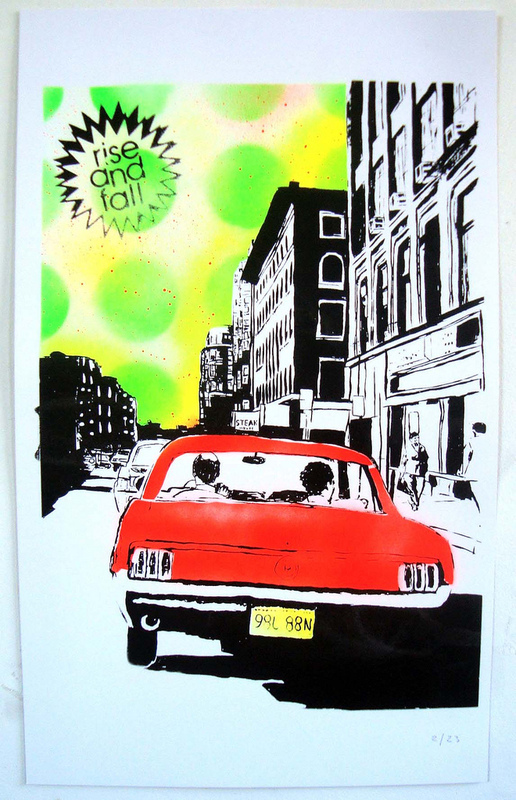 Here is the first glimpse of the next print in the series of The Morning After by Nick Walker. 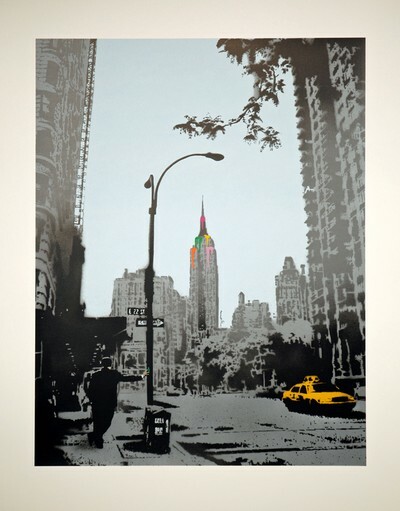 This print is called Empire State and is being released in conjunction with the upcoming London Art Fair being held in London from January 14-18th. If you are in London check it out! I found this while surfing around today. I love the excellent usage of colors contrasting with the black shadows throughout, it reminds me of what Evan Hecox has been doing lately. Check out Malateste's Flickr page 3-color, semi-matte paper illustration 300GSM. Stamped and Signed page to buy the artwork. I had to have the web page google translated!! 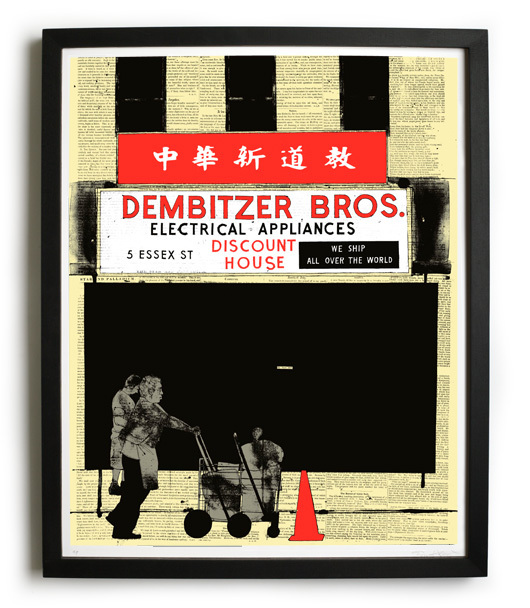 Angry Woebots 'Dapper' Print Release - Tomorrow! 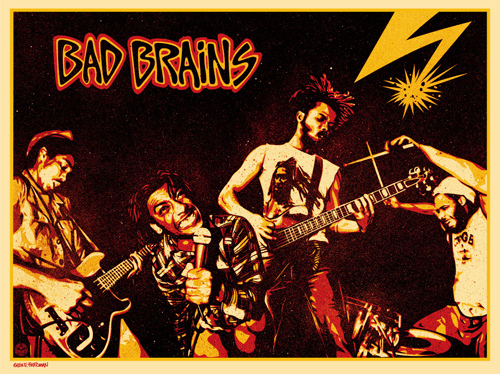 Just read this on Obey's website "Coming soon… Check out this Bad Brains/Glen E Friedman/Shepard Collaboration Print. This 18 x 24 Inch Lithograph will be signed by all four original Bad Brains members. 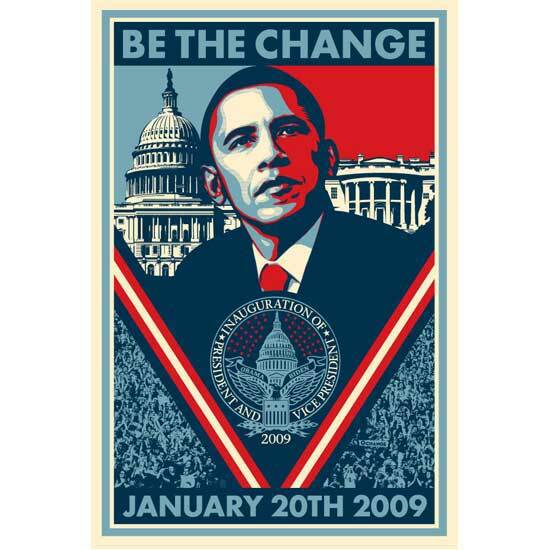 Print will be released in February going to be available at ObeyGiant.com"
The official Obama inaugural store just released this poster by Shepard Fairey. It’s a 24 x 36 inch lithograph. There are 2 options available! Numbers 1-1,000 are signed/numbered and cost $500 each. 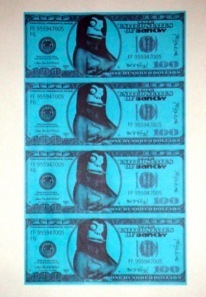 Numbers 1,001-9,999 are not signed/numbered and cost $100 each. Groundworks is Danna Rays Etsy store online, here are her details I grew up in a log cabin in the woods of rural South Carolina. Surrounded by forest and lots of crayons, I enjoyed drawing tiny bugs, and tiny plants, and tiny kittens driving trucks. 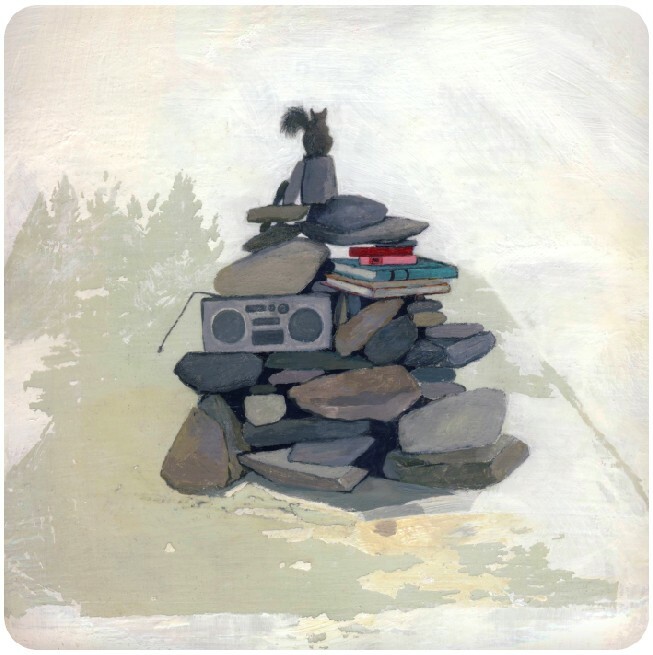 In 2003, I received my BFA in Illustration from Virginia Commonwealth University. My current work is inspired by exploration, wildness, and the inherent connectedness of all things. 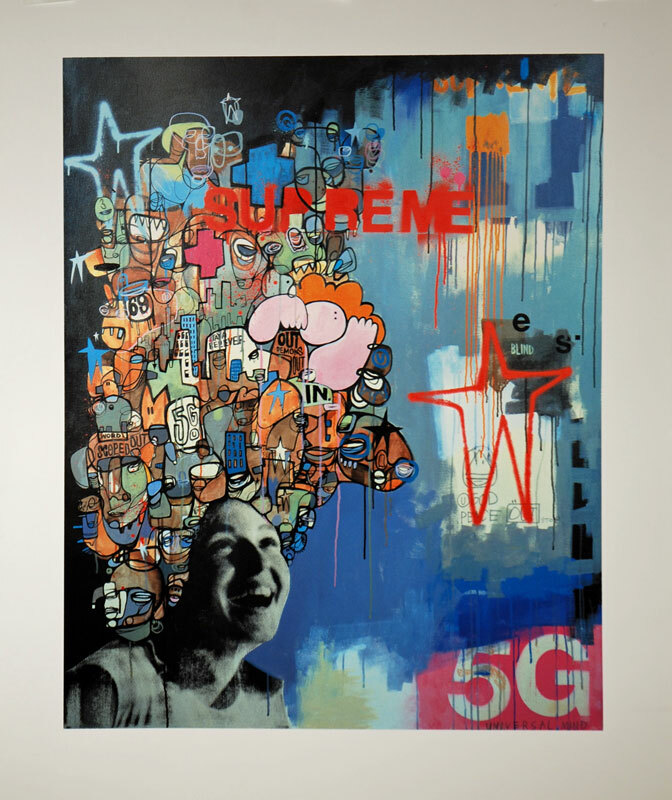 Dave Kinsey Axiom Print Release NOW!! 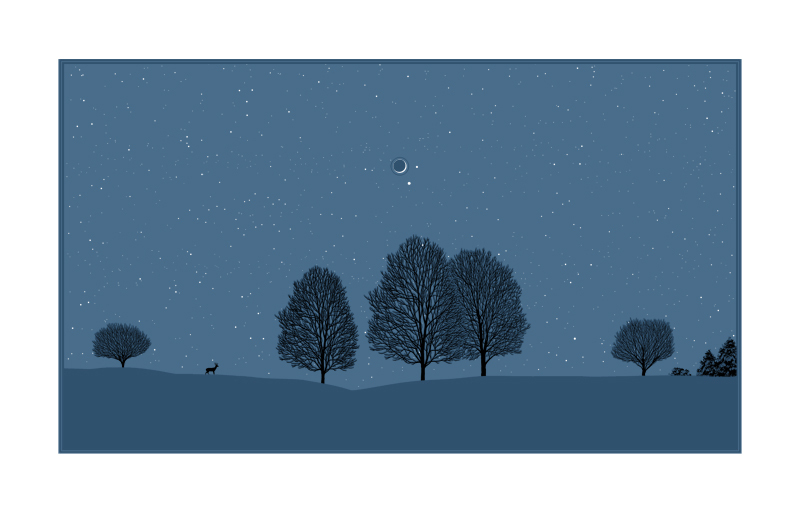 BLKMRKT is releasing this Dave Kinsey print today titled 'Axiom'. This print is a little different then his most recent releases, its a refreshing change from the constant use of the color red lately . The time of the release is not announced so keep your eyes open and your finger on F5! 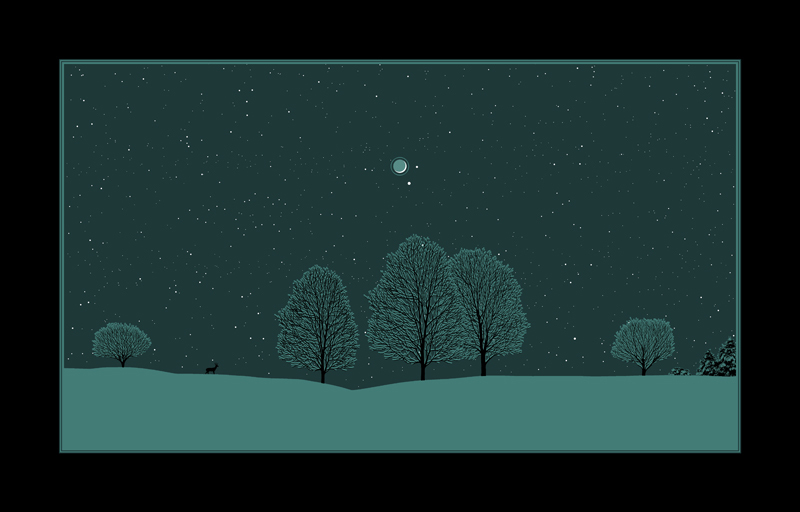 Very cool glow in the dark / daylight new release from Dan McCarthy celebrating the winter's solstice coming and going on December 21st. 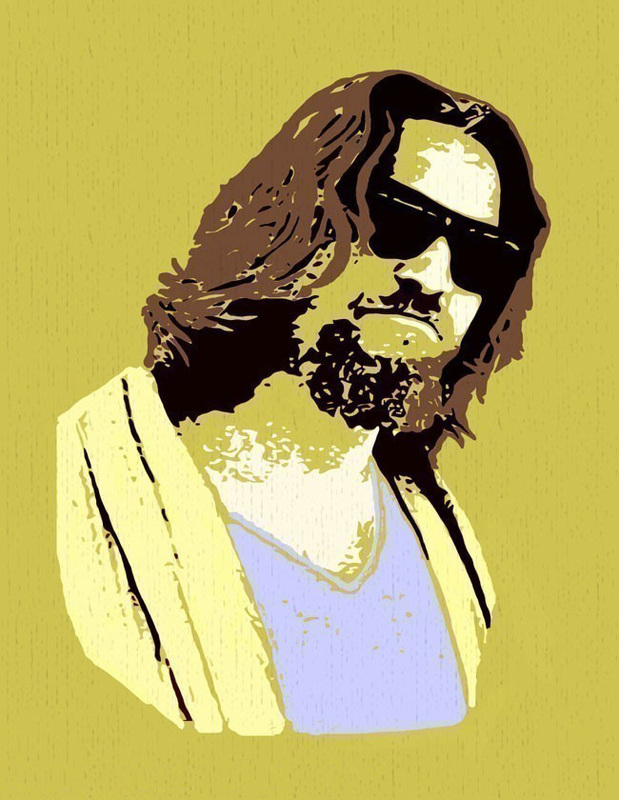 AirMonkey has released some in demand prints that Teves has been playing with lately. They have been turning up the u.s, holland and england. If you dig them, here is your chance! Check out the site, it has some nice pieces and represents some good artists, here are some of his other pieces! 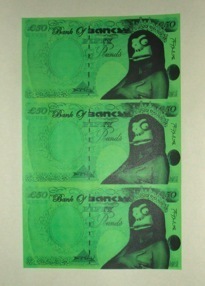 http://www.londonartfair.co.uk/page.cfm/Action=ShowCategory/CatPageID=2 or buying a ticket at the door. A small number of the edition will be held back for collectors from overseas. 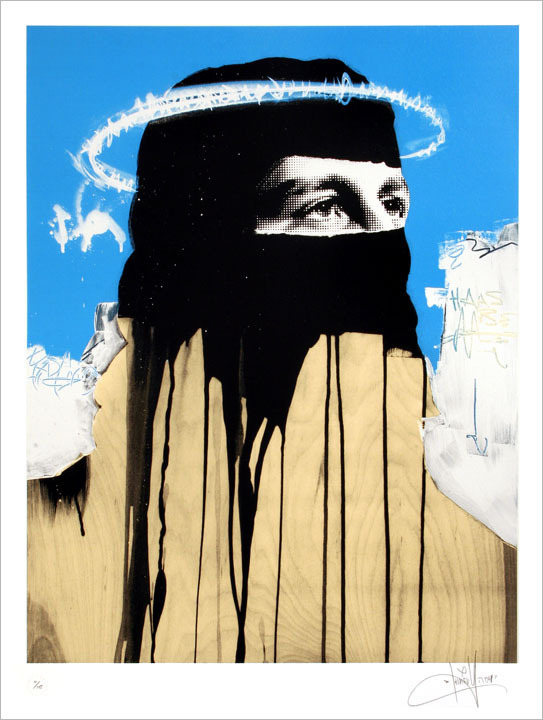 Anyone from overseas interested in buying the new Nick Walker should email info@blackratpress.com with their name and postal address and we will work out some sort of lottery/tombola type system to allocate the available prints. This trippy piece is available at Black Rat Press and is a 20 colour screenprint with varnish on 410 gsm somerset satin paper sized at 75cm x 92cm. I really dig his cartooning style over top of the background images. This is a 220gsm Heavyweight canvas textured effect paper. The surface has a canvas texture and the colours of the print, are extremely strong and vibrant. The artwork is highly detailed and comes directly from the artist. 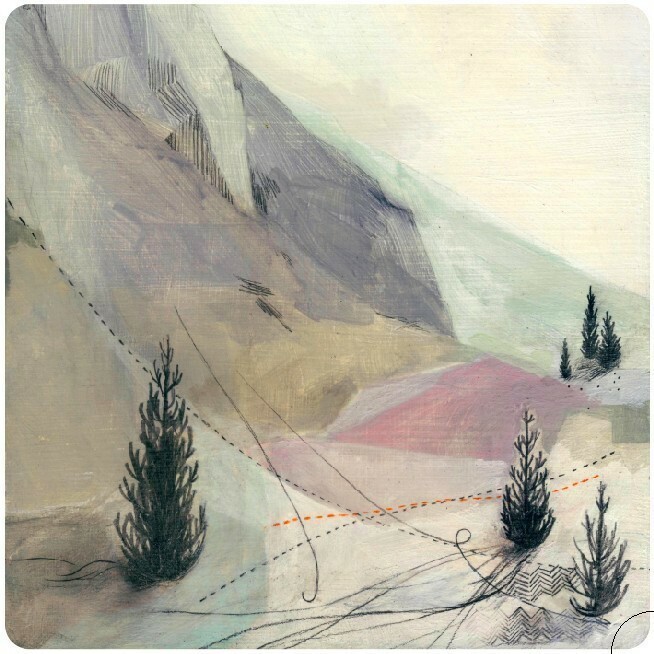 The print is a limited edition of 100 and is an original illustration signed,numbered and titled by hand by the artist. The print also comes sealed in its own clear cellophane sleeve for protection and when sent.